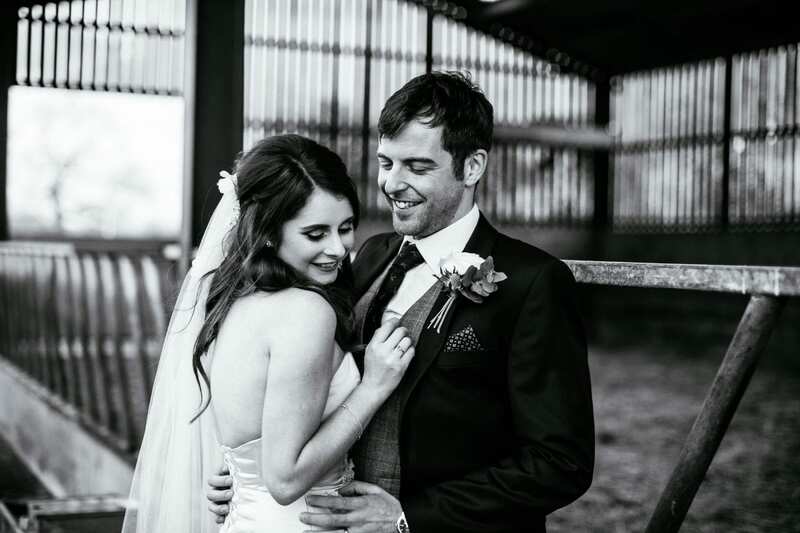 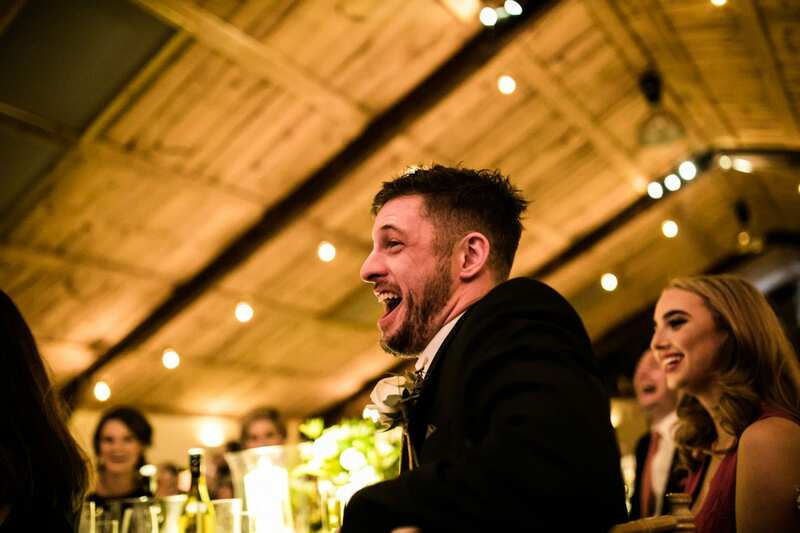 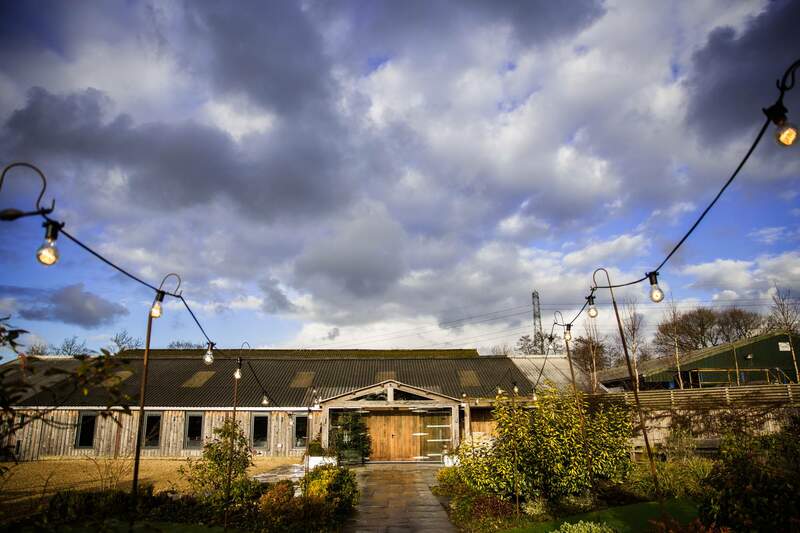 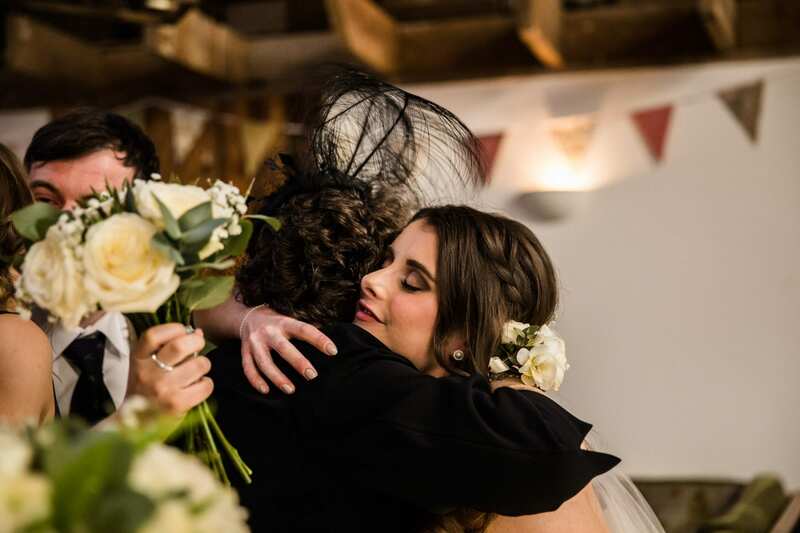 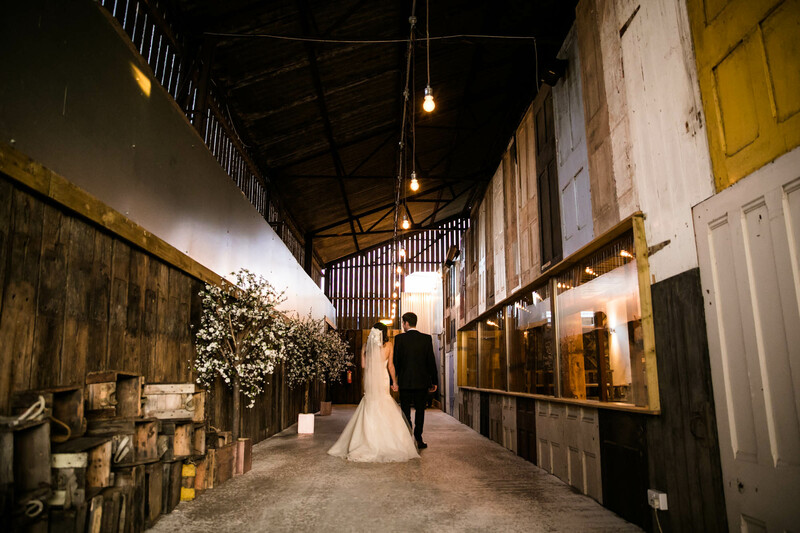 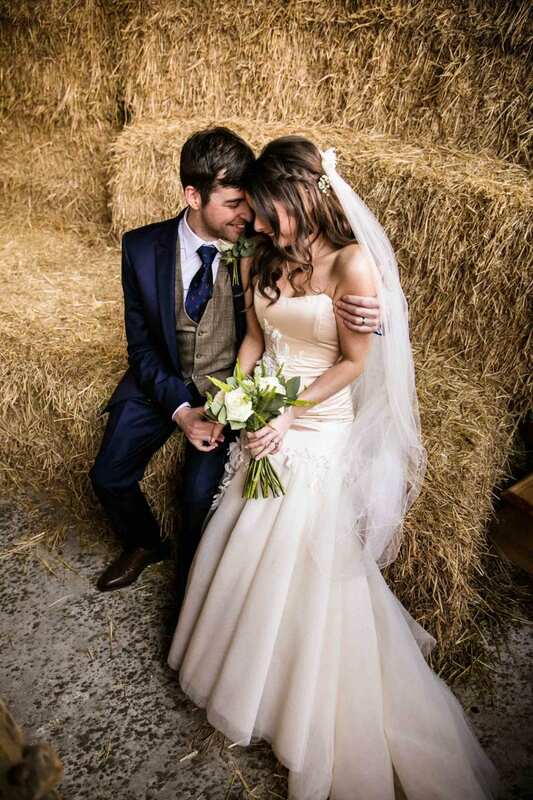 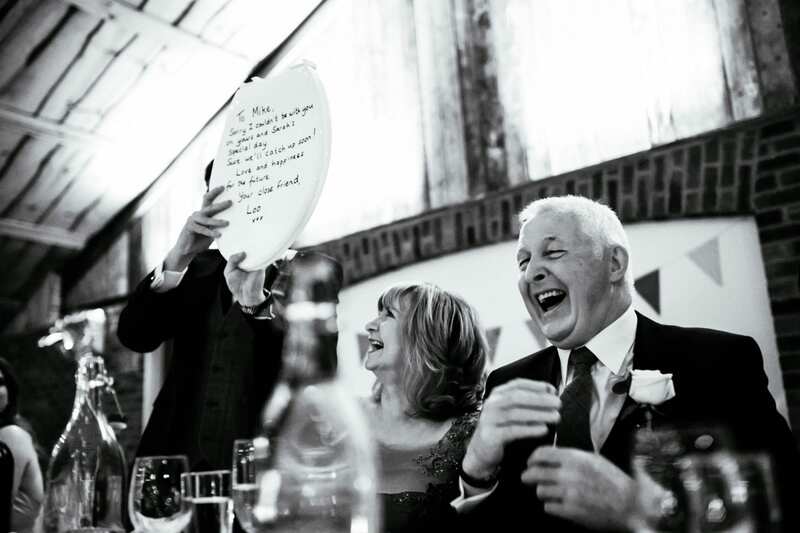 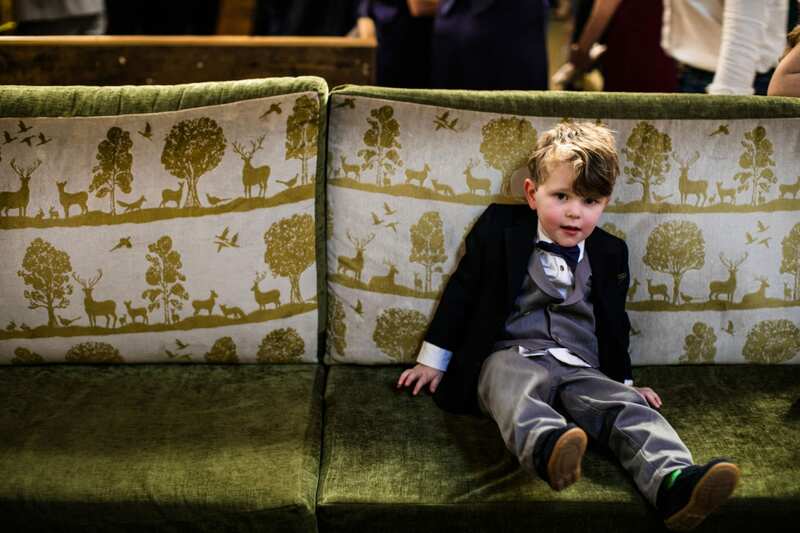 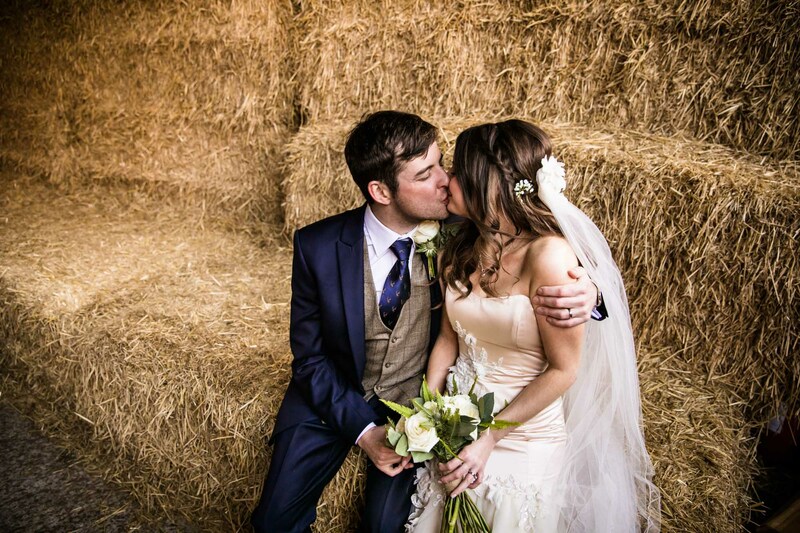 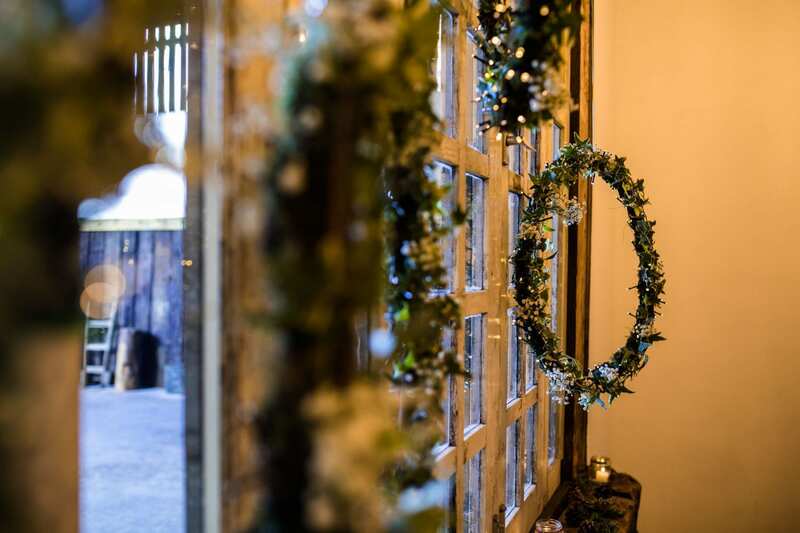 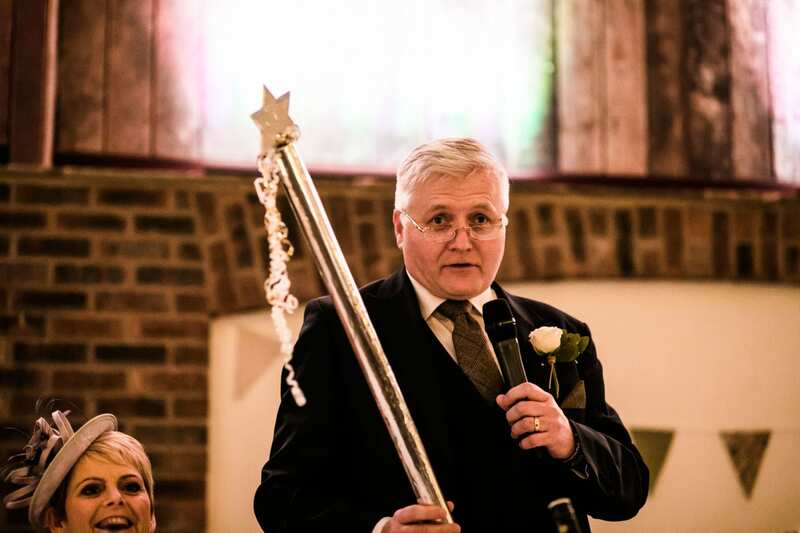 I can’t quite believe I haven’t blogged this gorgeous winter wedding Owen House Barn yet! 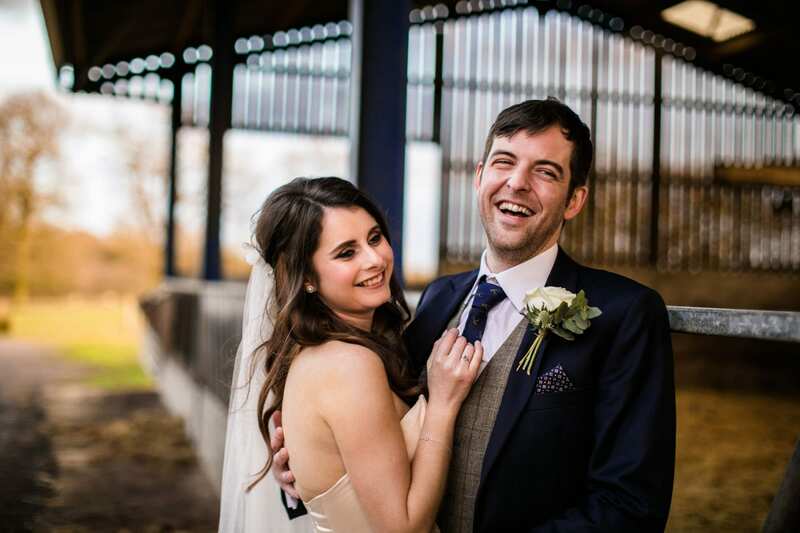 In the year Sarah & Mike got married, I photographed a LOT of weddings in the winter (maybe that’s why I’m only just catching up!) 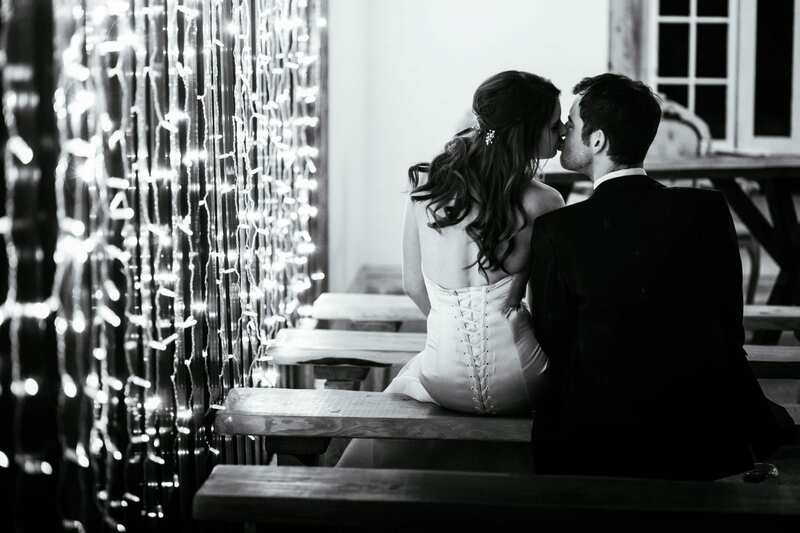 The winter weddings I shot that year had their own special cosy feel, which is so different to summer weddings. 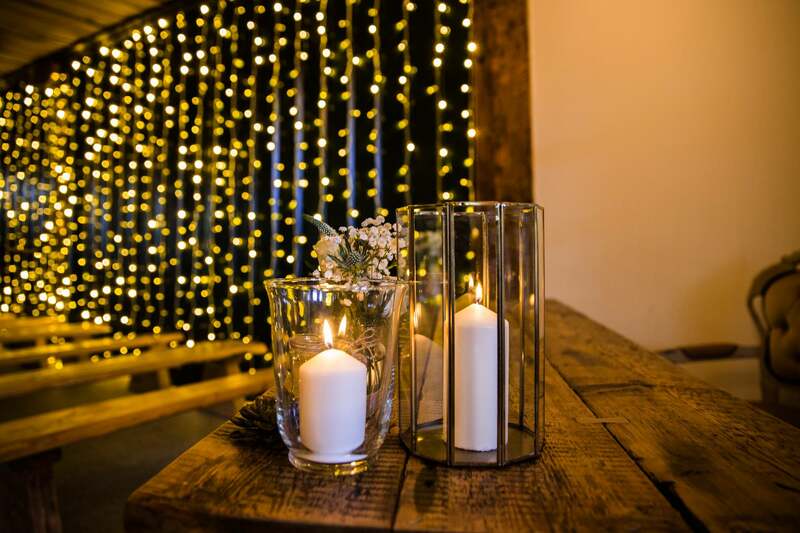 There’s a chill in the air, a chance to wrap up warm on a dark night and get cosy around the fire with your loved ones. 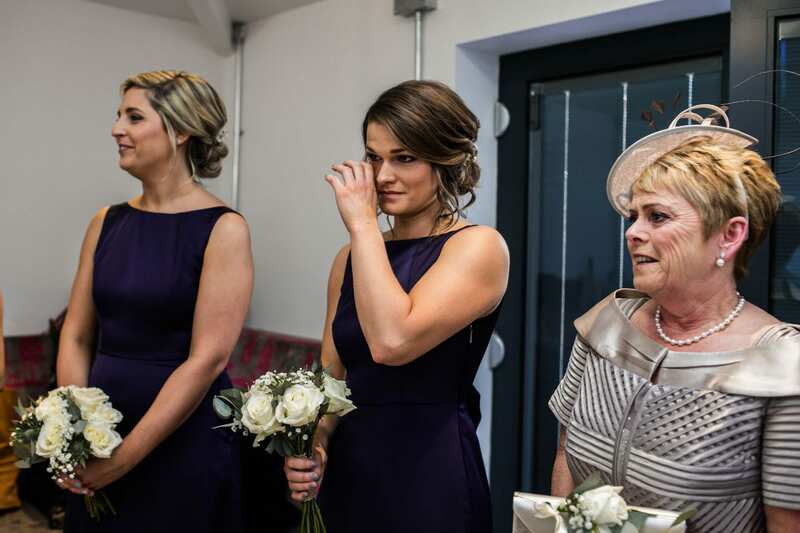 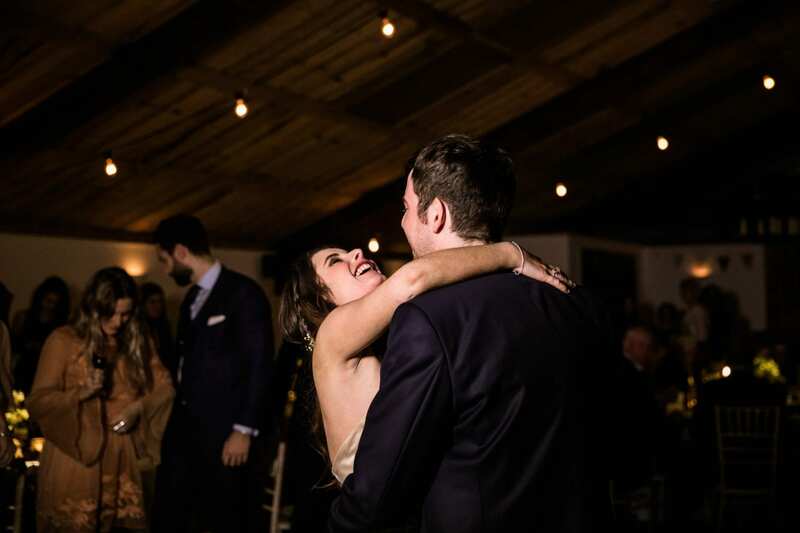 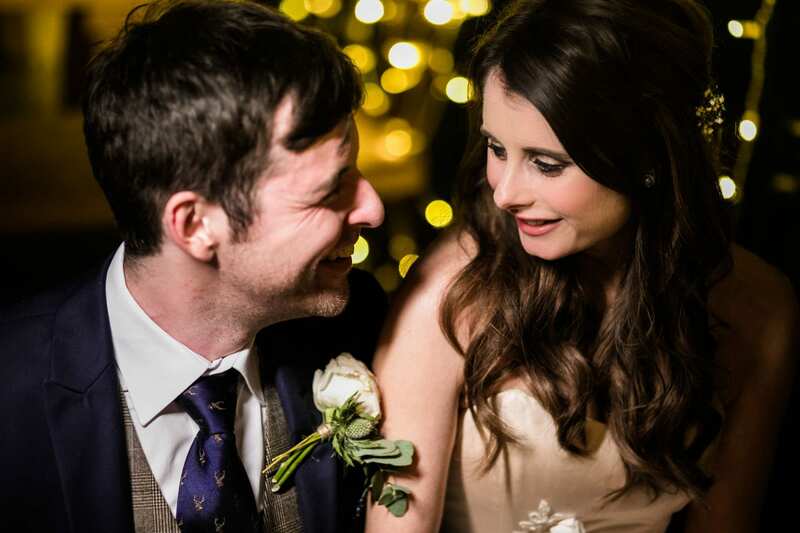 Sarah & Mike’s wedding was extra special as it was so close to Christmas. 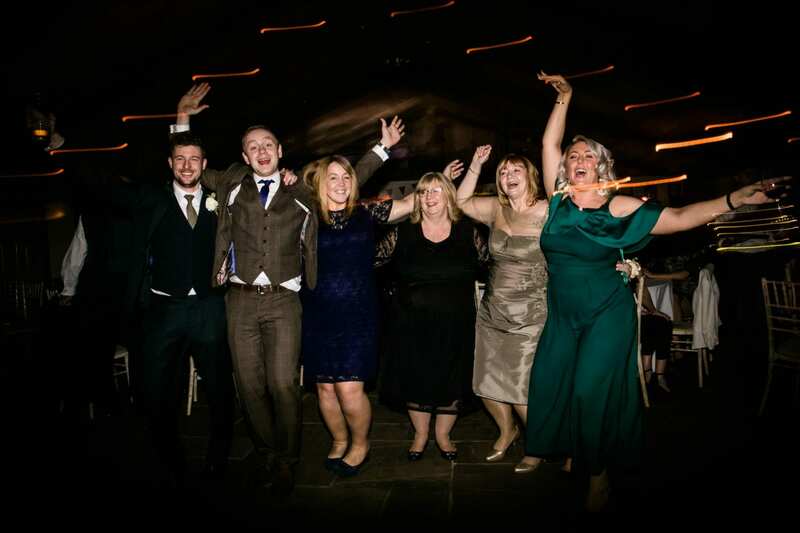 Everyone was in a real party mood! 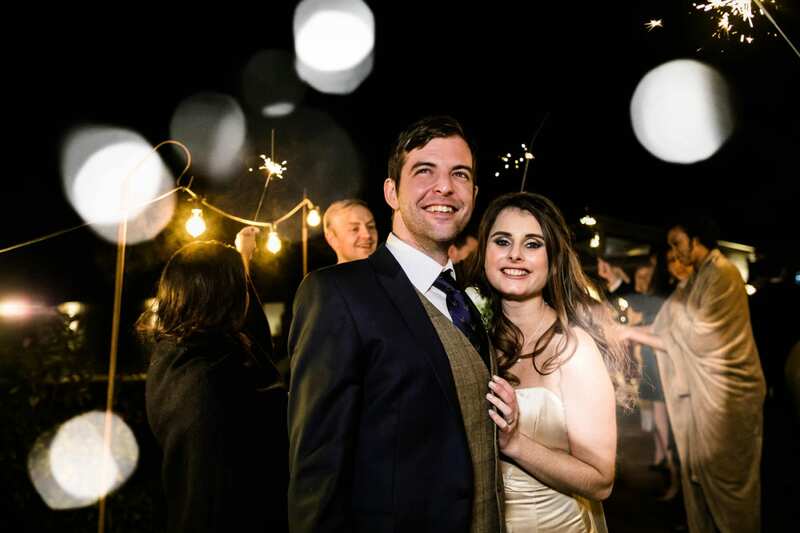 Despite it being well over a year since Sarah & Mike got married, their wedding is a lovely one to feature on my blog. 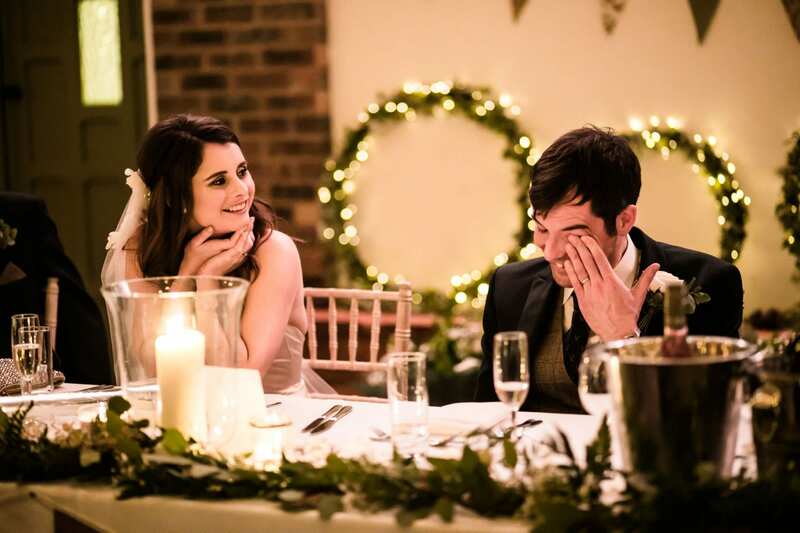 I’m sure lots of you will take inspiration from the green florals, winter styling and Sarah’s killer dress! 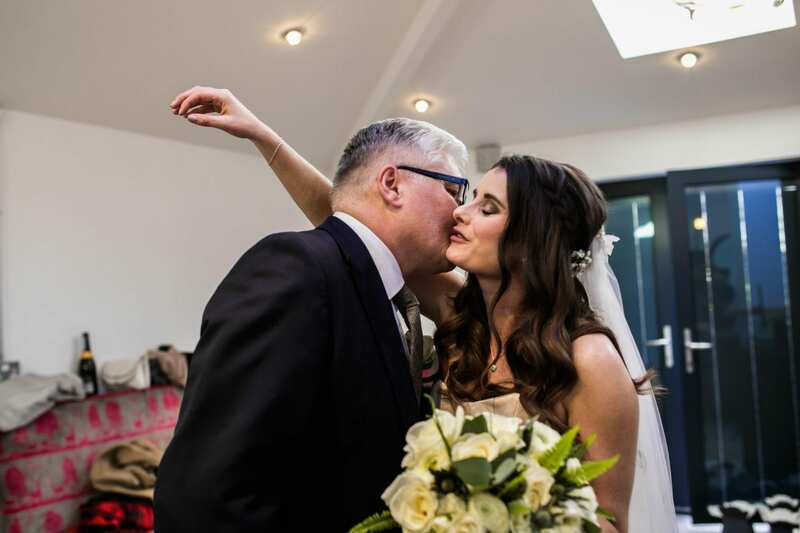 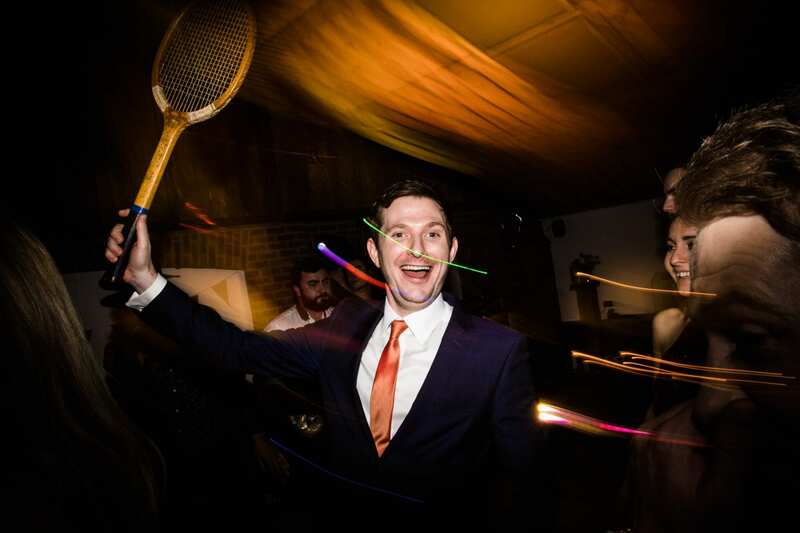 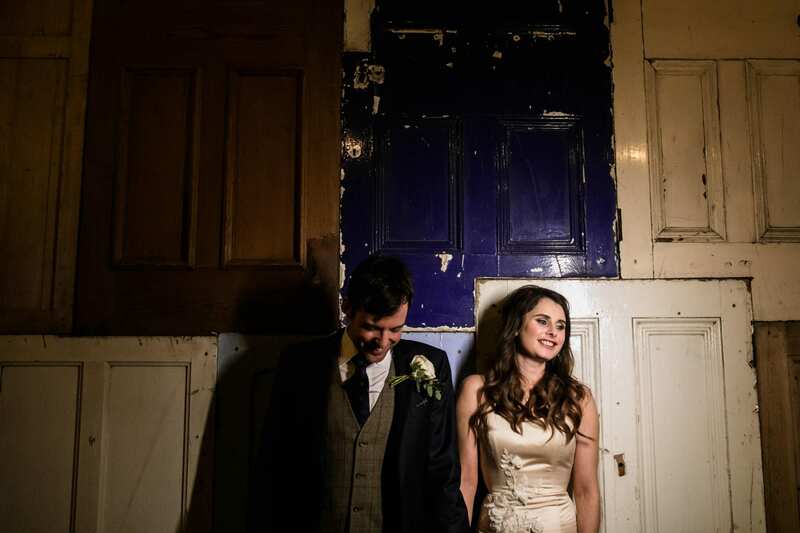 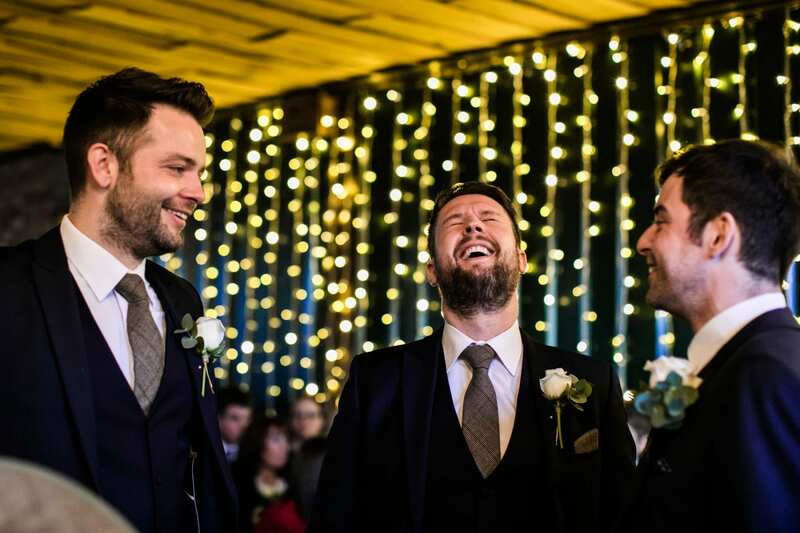 You’re also going to love Sarah & Mike’s highlights film by Ayesha (see end of post). 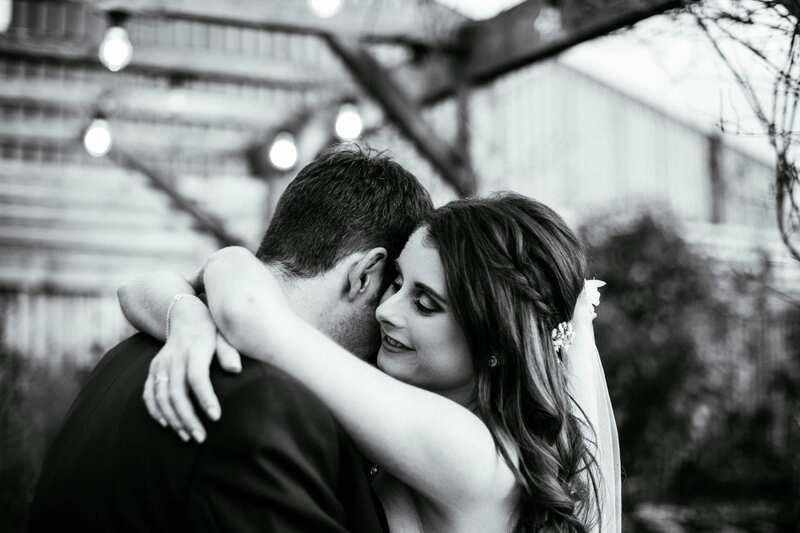 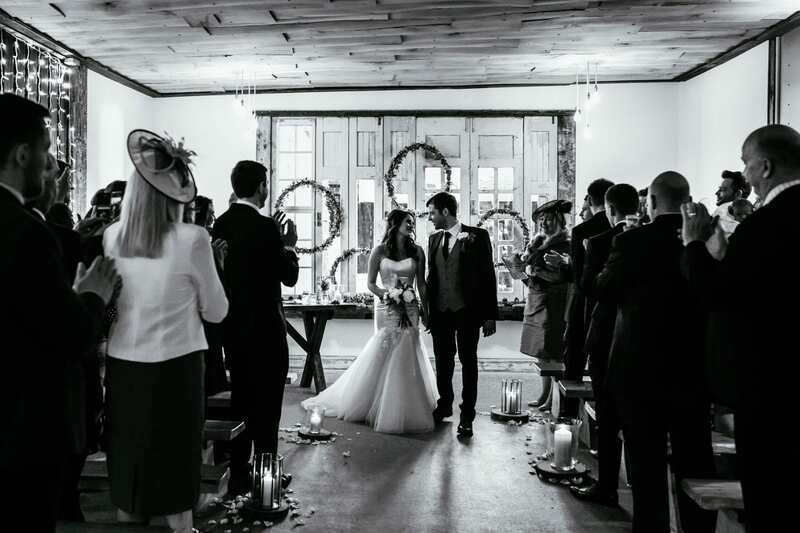 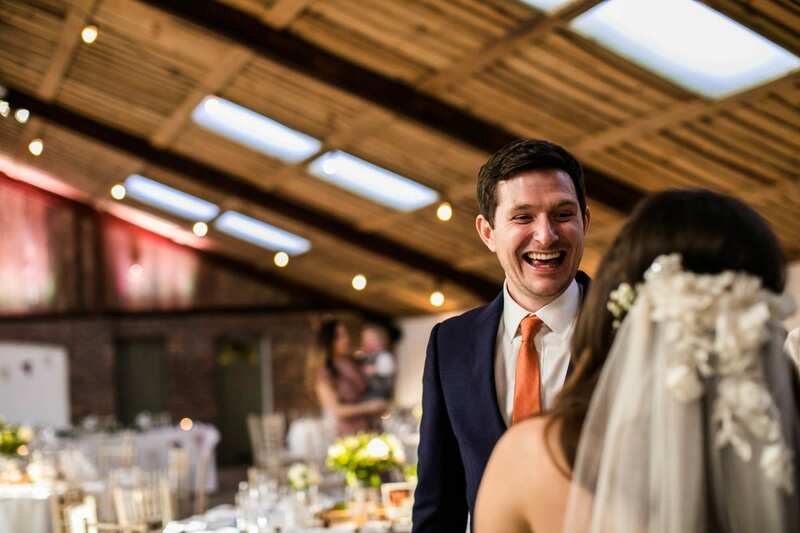 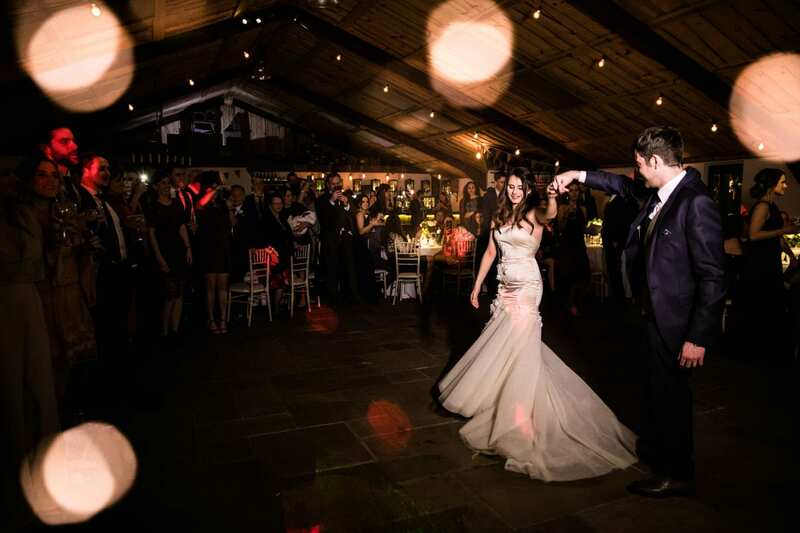 Owen House Wedding Barn was a fantastic choice for Sarah & Mike as it looked so beautiful decorated with fairly lights, floral hoops and candles. 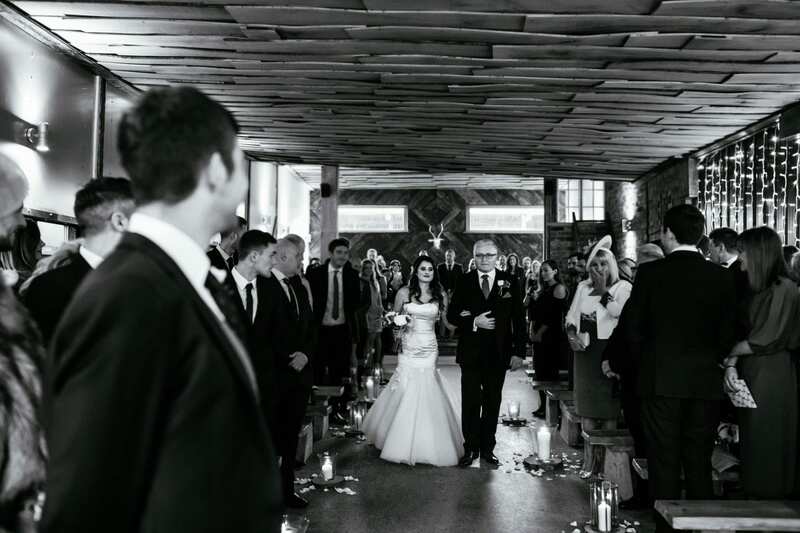 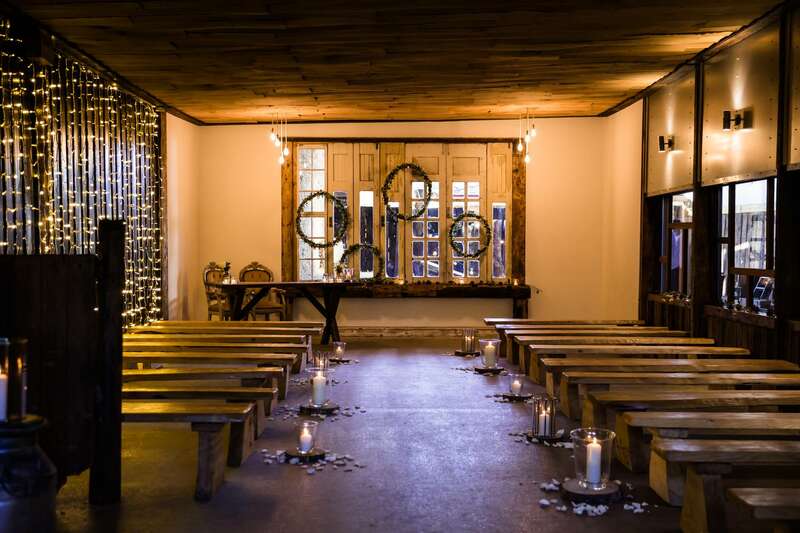 The ceremony room was the perfect setting for Sarah & Mike to say their vows to each other in front of their guests. 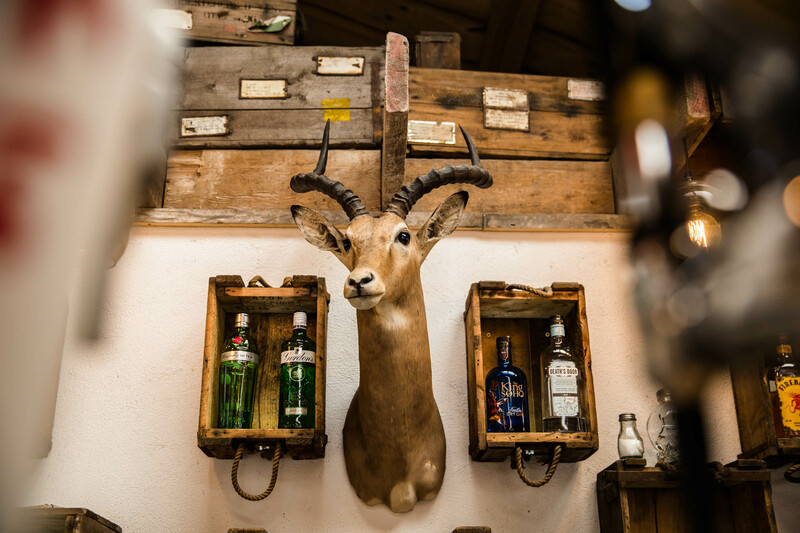 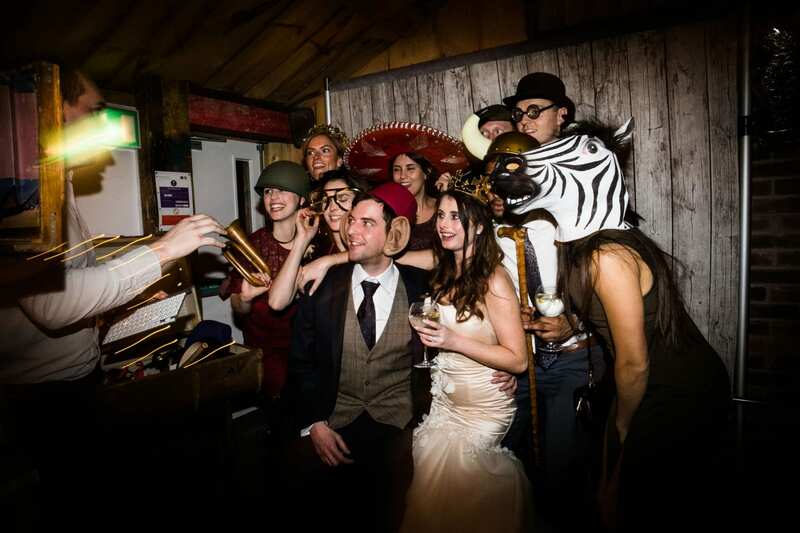 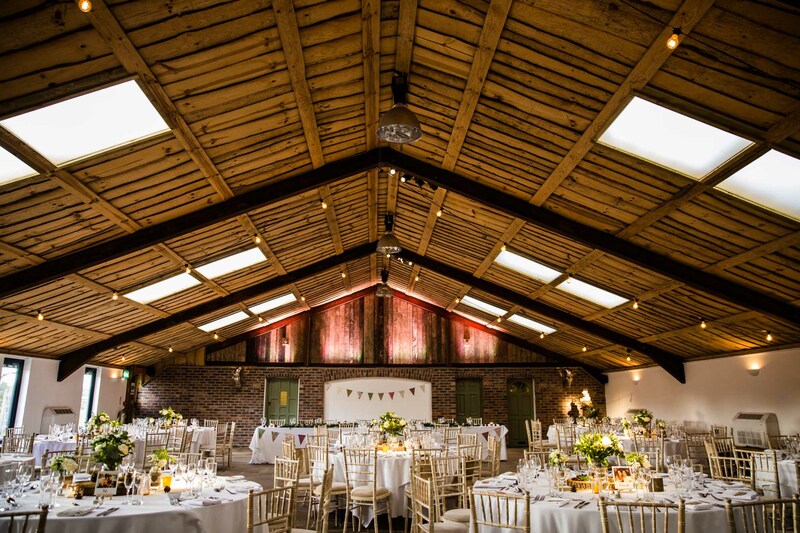 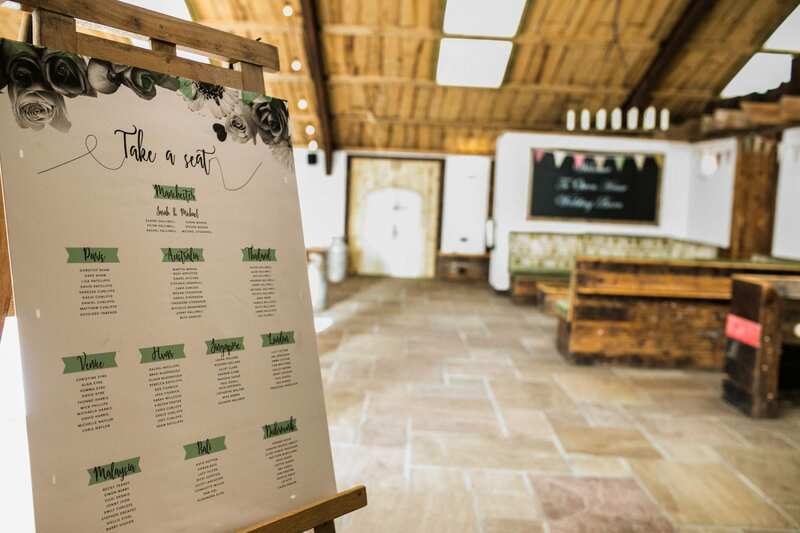 The reception space in the barn was also beautifully finished ready for all their guests to enjoy the party. 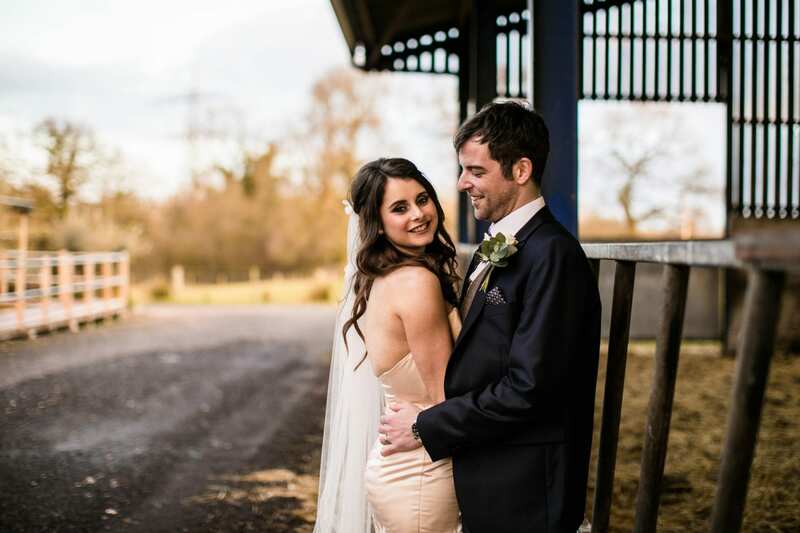 Even though Sarah & Mike were married on a chilly day, we were keen to get out into the grounds of Owen House Wedding Barn for photographs. 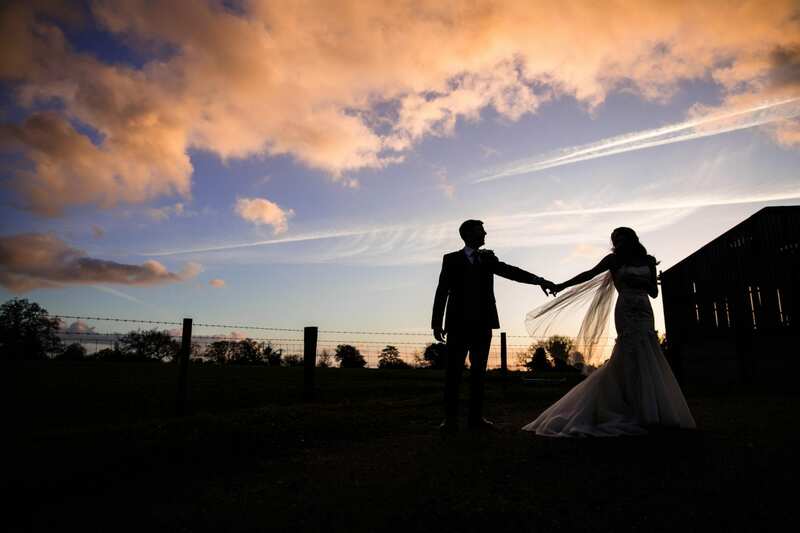 We were fortunate enough to be blessed with a gorgeous sunset. 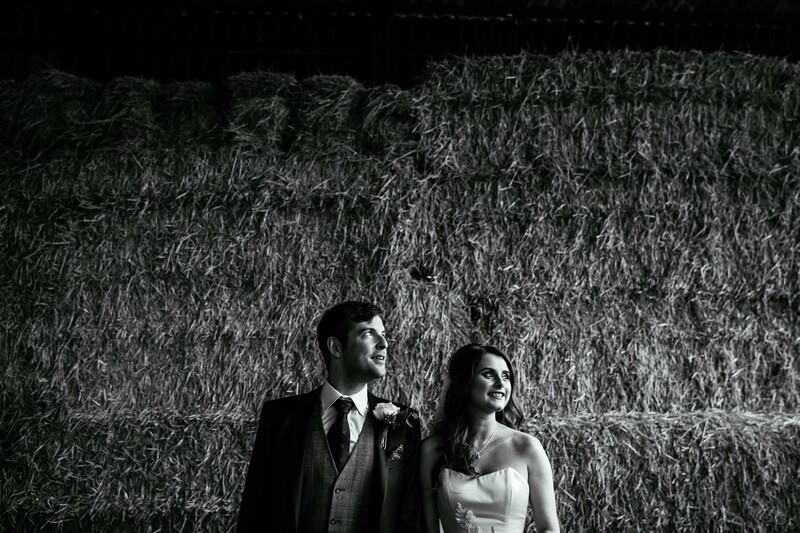 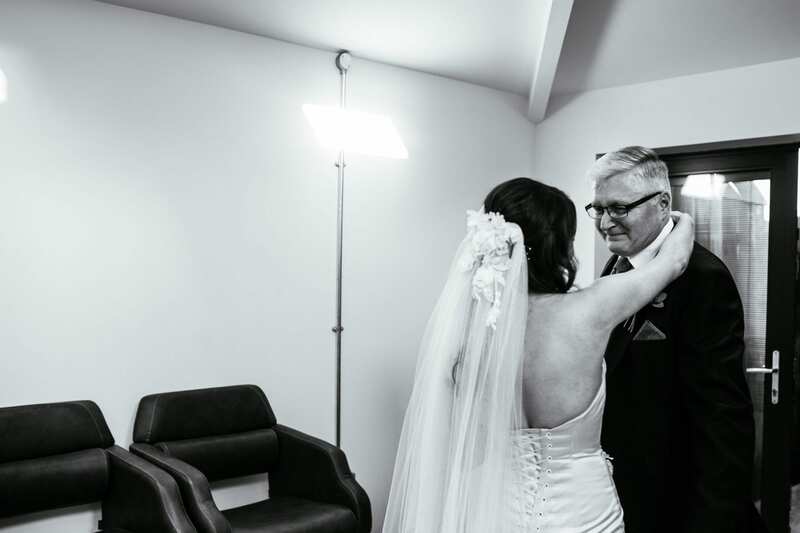 Beautiful light makes for very special portraits and we were so pleased with Sarah & Mike’s finished images. 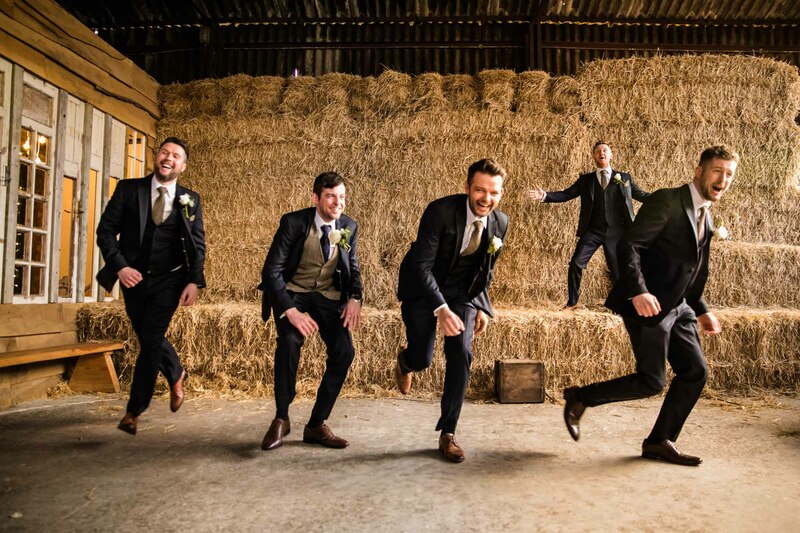 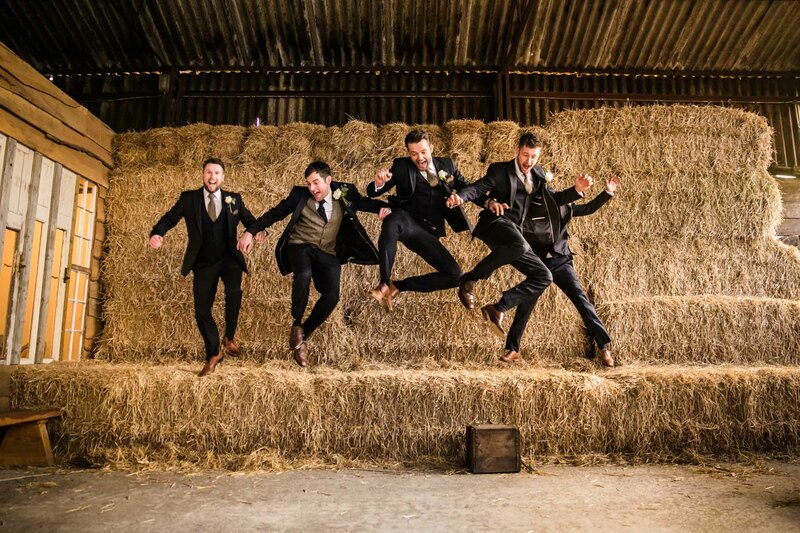 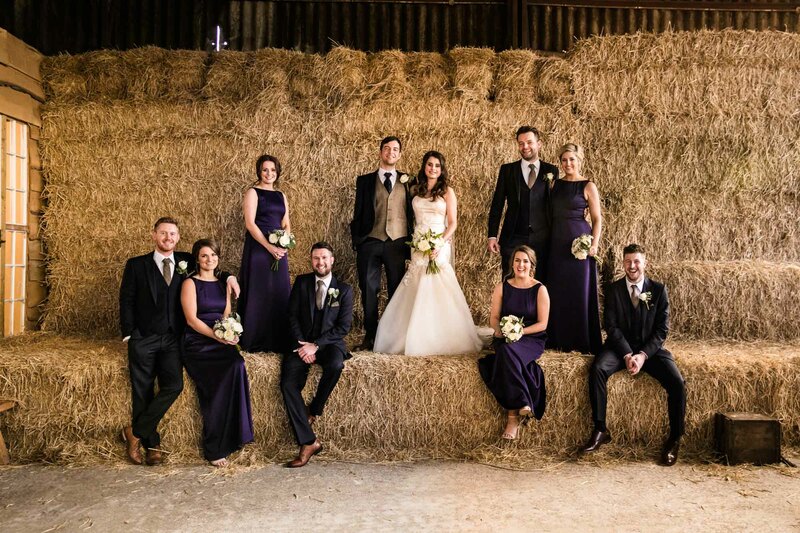 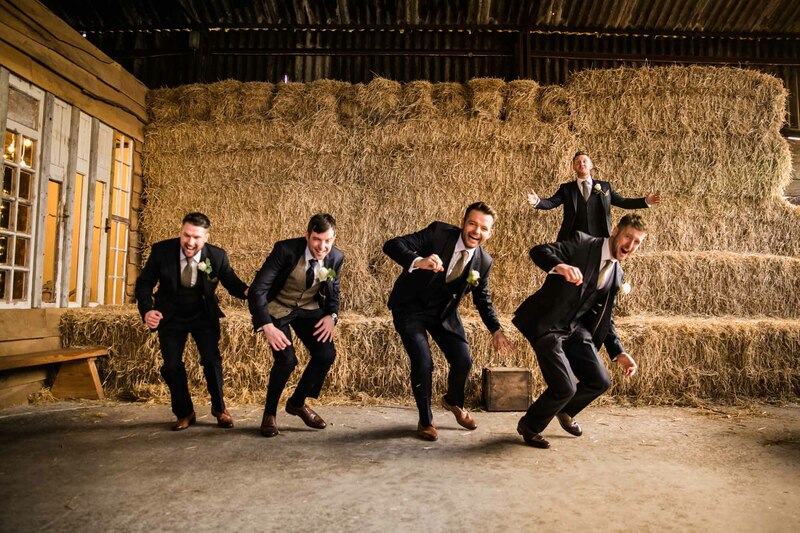 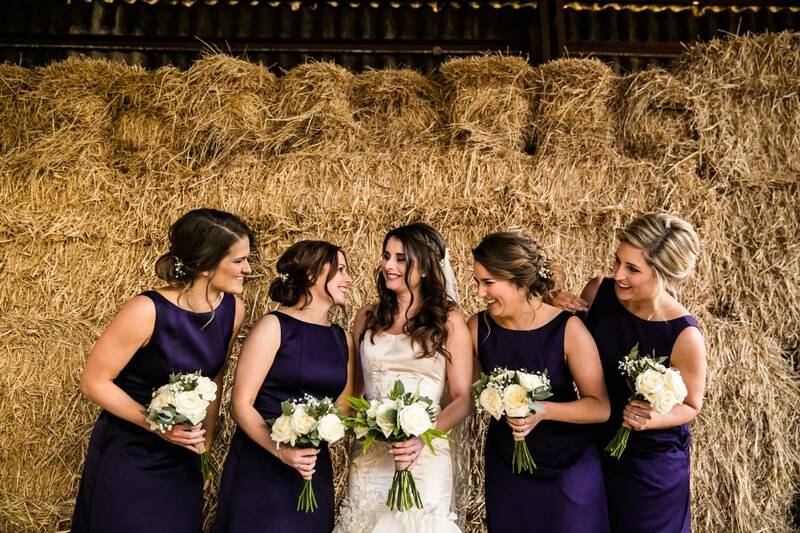 Of course we also used the iconic hay bales inside Owen House for fun wedding photographs with the bridesmaids and ushers! 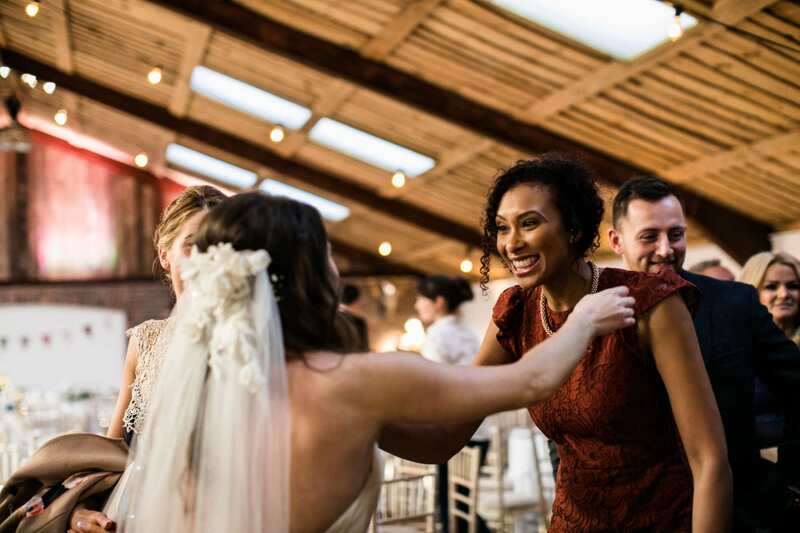 When Ayesha and I work together, our favourite part of the day is joining in with the dancing! 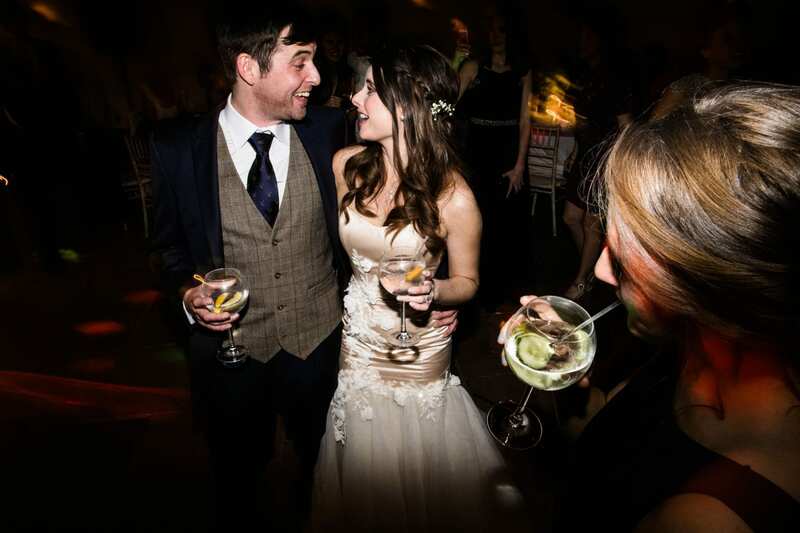 We were especially excited as Sarah & Mike had chosen our favourite band Twisted Tubes. 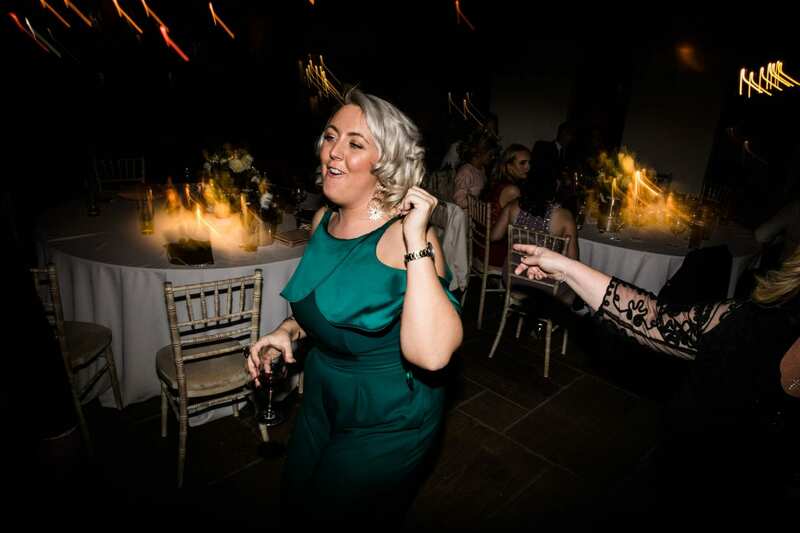 I’m pleased to report the dance floor did not disappoint! 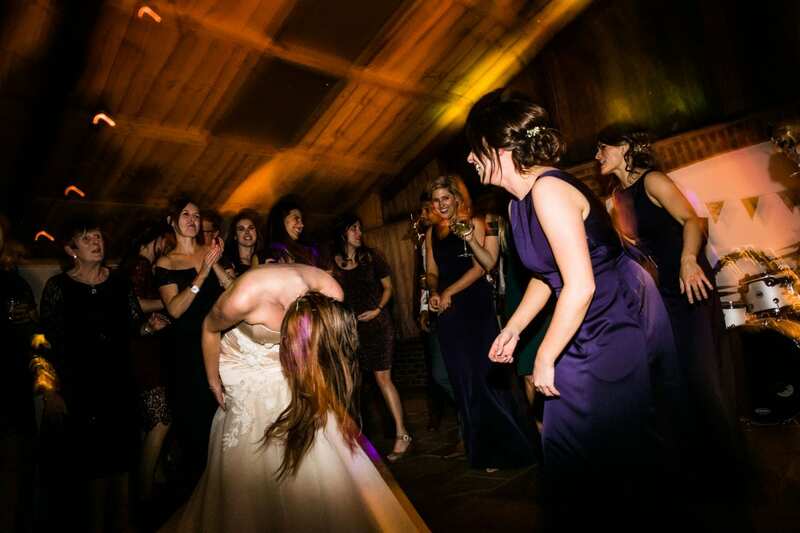 There were some crazy moves from the guests and a particularly energetic head-banging performance of Proud Mary by Sarah & her girls! 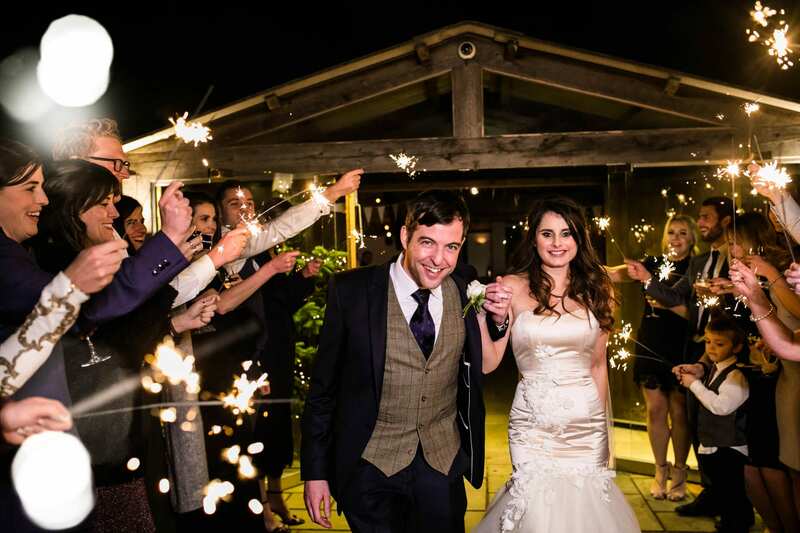 Big thanks to Sarah & Mike for having Ayesha and I to join the celebrations! 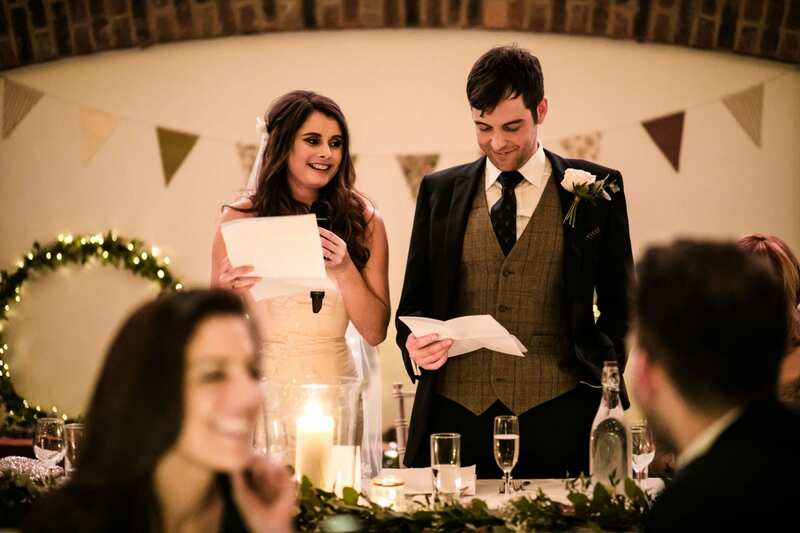 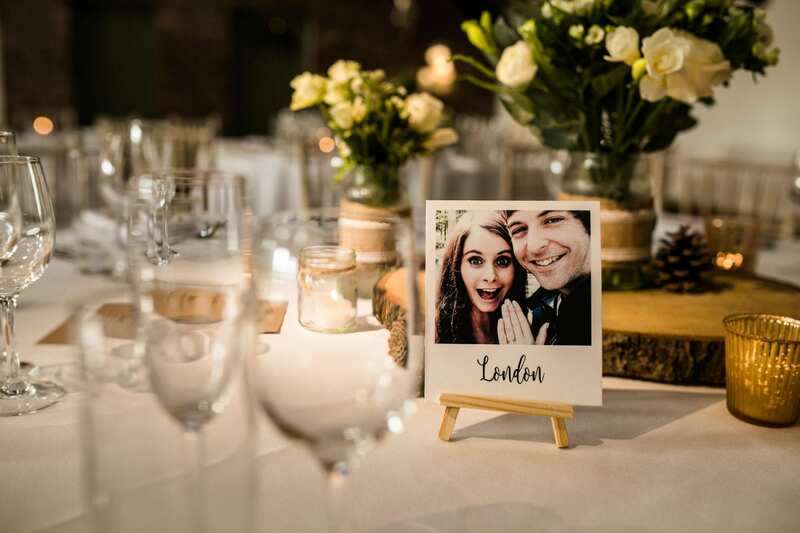 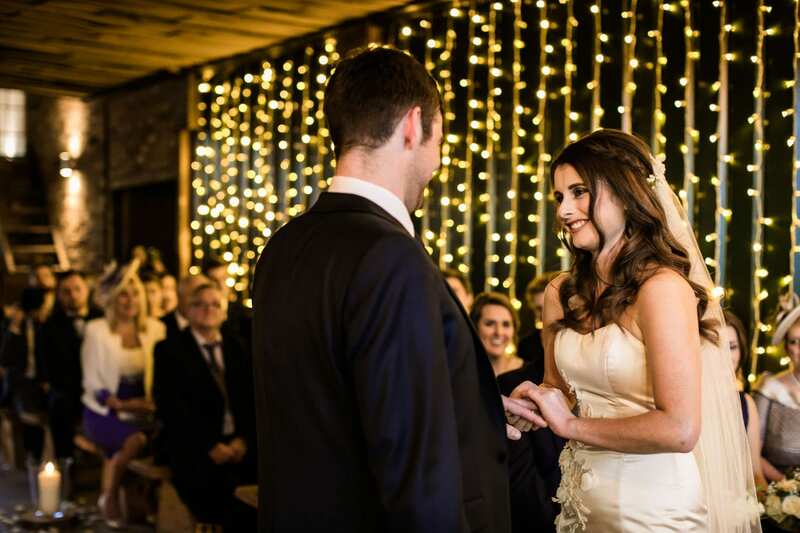 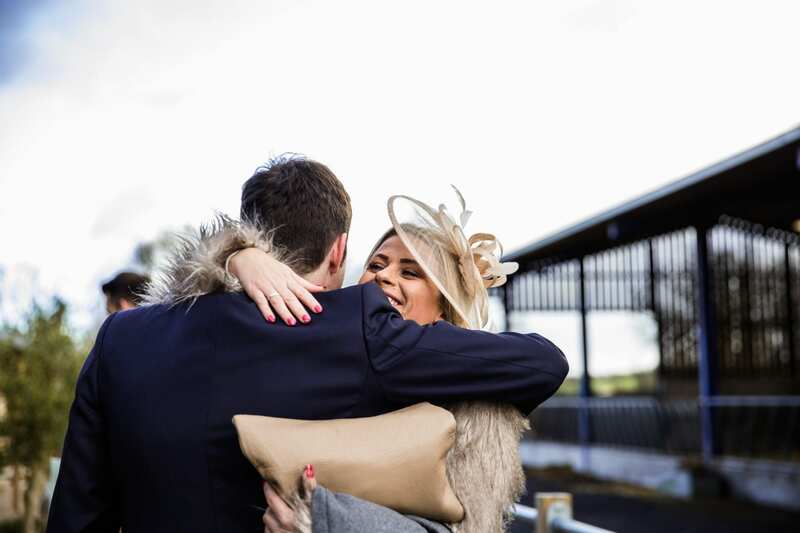 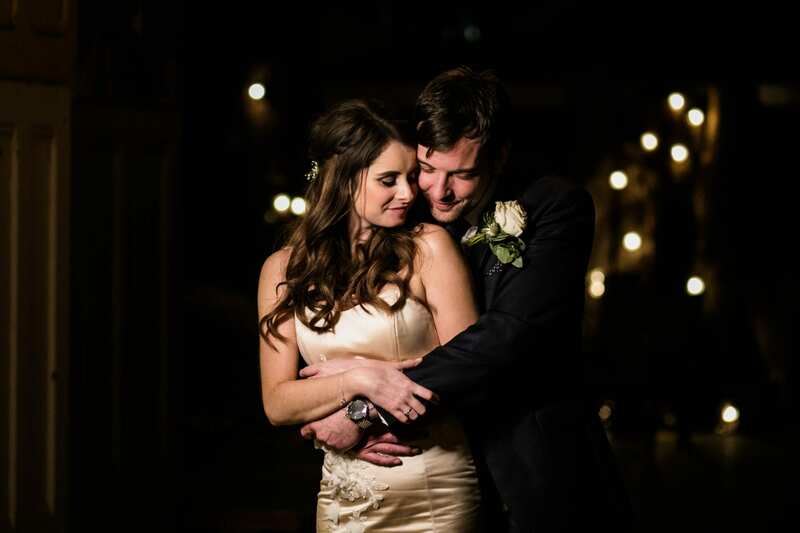 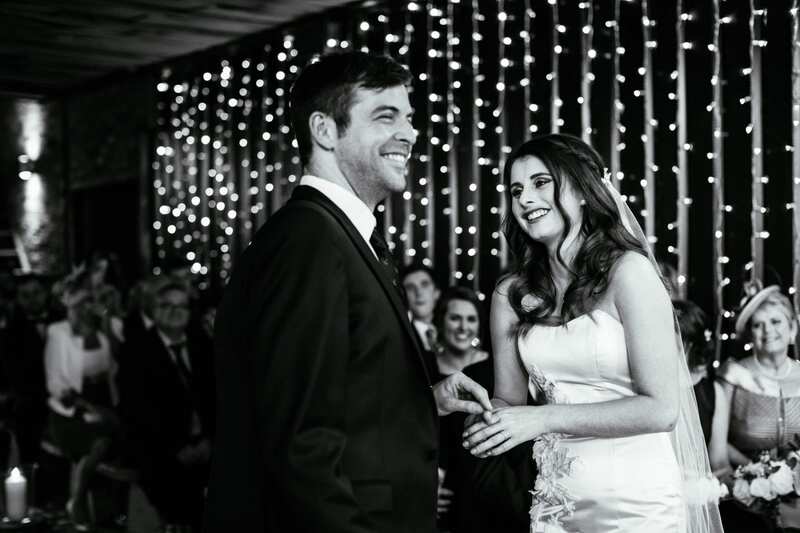 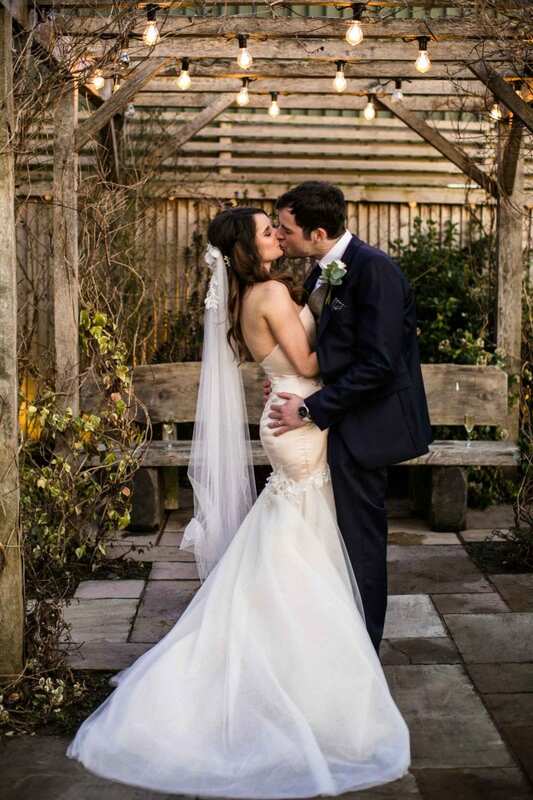 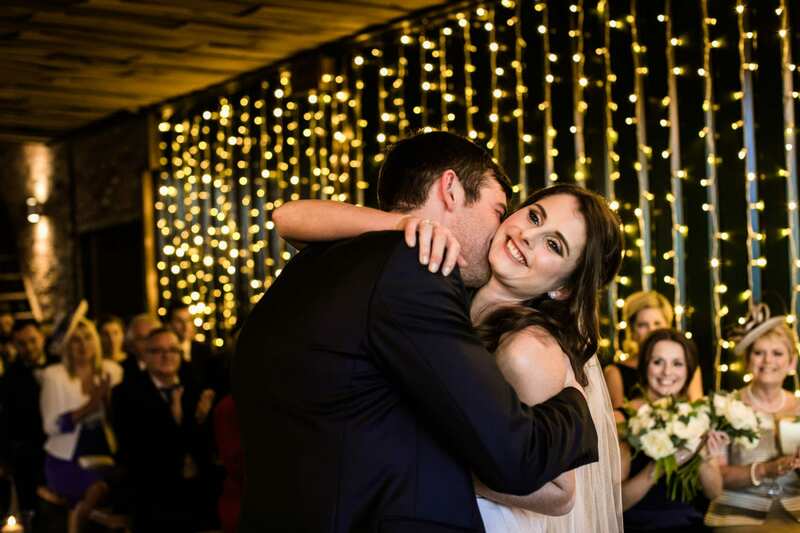 Are you planning to get married at Christmas like Sarah & Mike? 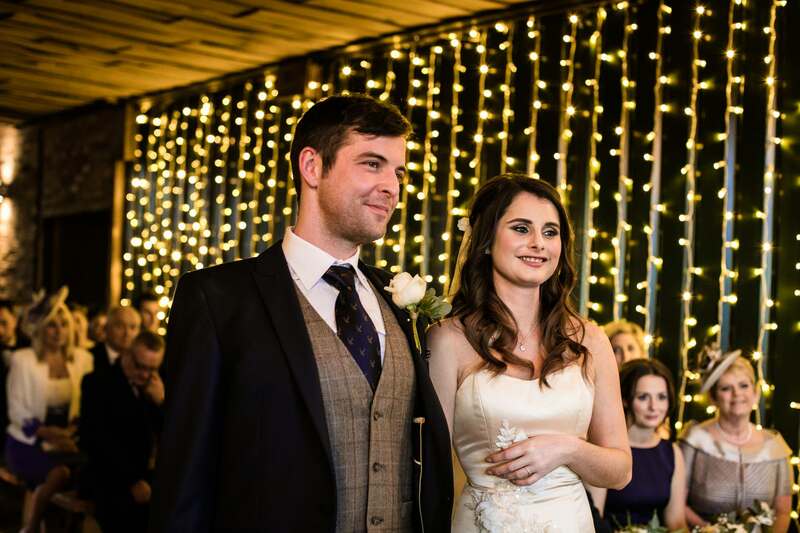 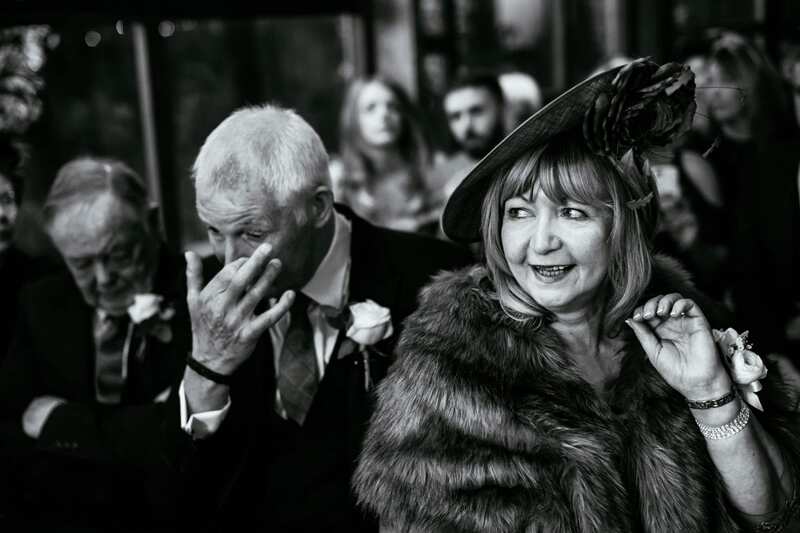 If you like the idea of a cosy winter wedding, I would love to hear more about your plans. 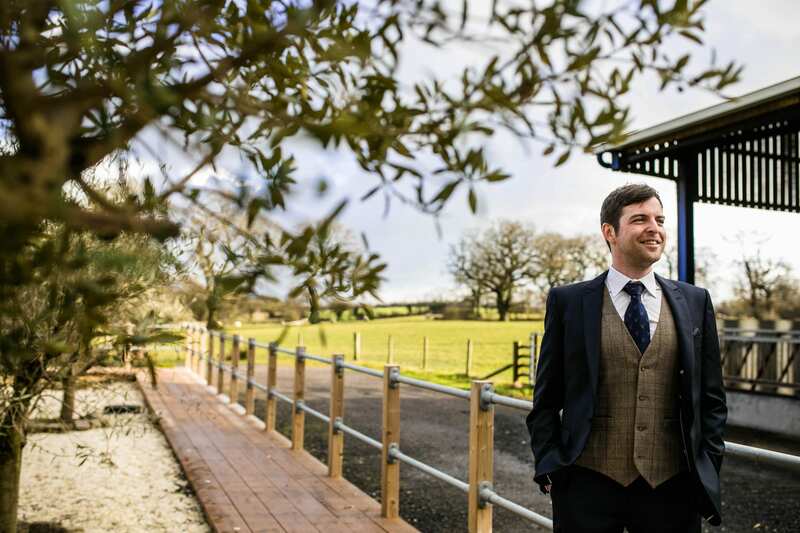 You can book a free consultation with me at my local pub in Sale, Cheshire. 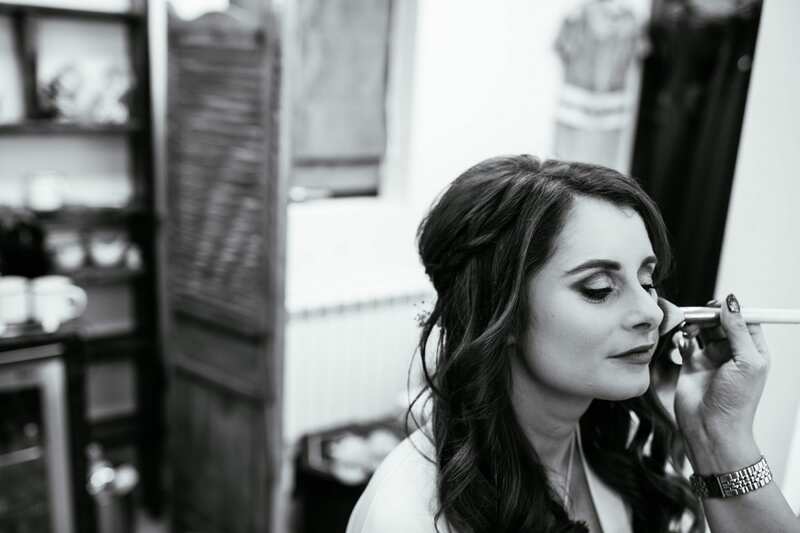 Please contact me to make an appointment in person or book a FaceTime. 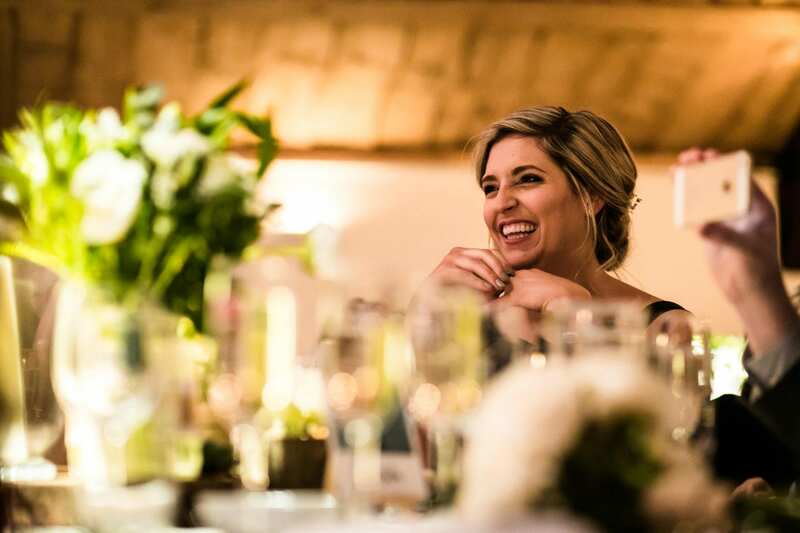 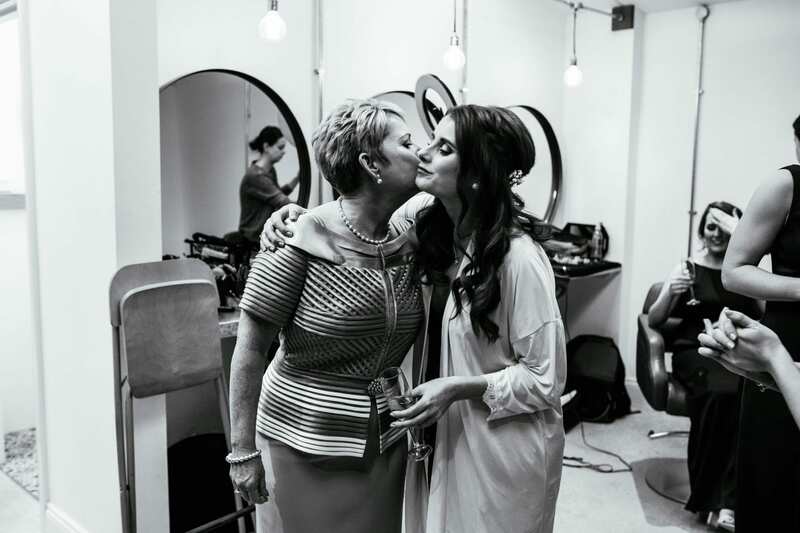 To find out more about the way I work you can visit my experience page on my website.